Club Penguin Cheats by Mimo777 Club Penguin Cheats by Mimo777: Club Penguin Purple Dragon Costume Bug! The stealth class won't do the special recycling bin dance for me. I am wearing all the pieces, but maybe it is because I am wearing the knight vision goggles that I already had so it would not let me buy any more. The bug is fixed! 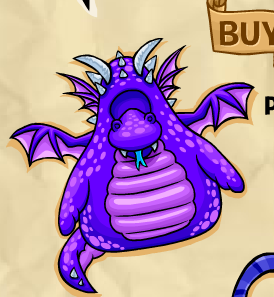 I went on Club Penguin today and I wanted a purple dragon. Luckly, when I clicked it, it said,"Would you like a purple dragon for 550 coins?" So the bug is fixed! Please give credit to Jojojo33342!